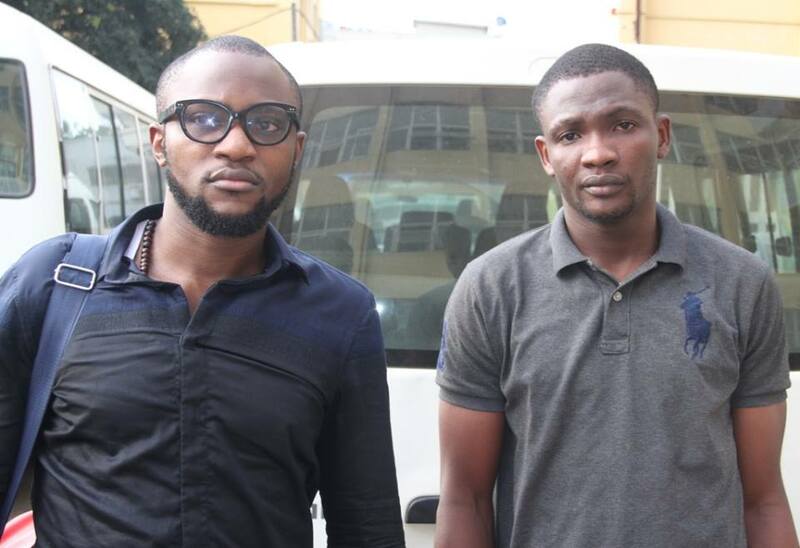 The Economic and Financial Crimes Commission (EFCC) on Tuesday, December 19, arraigned the duo of Temitope Oluwasanmi and Augustine Olayinka before Justice Mojisola Dada of the Lagos State High Court sitting in Ikeja on a seven-count charge bordering on conspiracy, stealing and fraudulent diversion of funds to the tune of N116m. The first defendant, Temitope Oluwasanmi, an employee of Union Bank of Nigeria (UBN) Plc, was arrested by operatives of the EFCC sometime in October 2017, following a petition received by the Commission from the bank. Oluwasanmi is alleged to have diverted the sum of N116 million to the savings accounts of three individuals, who are said to be his friends: Augustine Olayinka (account no. : 0050657770), Oginni Opeyemi ( account no. :0046585982) and Ogbaro Oluwaseyi (account no. : 0061074951). One of the counts reads: “That you, Temitope Oluwasanmi, Augustine Olayinka, Oginni Opeyemi (still at large) and Ogbaro Oluwaseyi (still at large) sometime in 2015 in Lagos, within the Lagos Judicial Division, conspired to commit felony to wit stealing”. In view of their pleas, the prosecution counsel, E.A. Oyedotun-Laleye, asked the court for a trial date and also prayed the court to remand the defendants in prison custody pending the determination of charge preferred against them. Counsel to the first defendant, Frank Eke, and counsel to the second defendant, Femi Banjo, moved applications for bail on behalf of their clients. However, the prosecution counsel, Oyedotun-Laleye, opposed the bail applications. Justice Dada, however, admitted the first defendant to bail in the sum of N2million with two sureties in like sum. One of the sureties must have a landed property within the jurisdiction of the court. The sureties must provide the court with a proof of payment of tax in the last three years. Justice Dada also granted the second defendant bail in the sum of N1m and two sureties in like sum. One of the sureties must have a landed property within the jurisdiction of the court. The sureties must provide a proof of payment of tax in the last one year to the court. Justice Dada ordered the defendants to be remanded in Ikoyi Prison pending the perfection of their bail conditions. The case was adjourned to January 25, 2018 for commencement of trial.